Saab and Boeing dropped a bombshell late last year when they announced that they would be joining forces to submit a bid for the upcoming T-X program. The T-X program intends to replace the venerable T-38 Talon in use by the USAF as a high performance jet trainer. What will this collaboration look like? Early reports on a "decontented" Saab Gripen have been dispelled. This will be an "all new" aircraft. Given the context of the T-X program, it is very likely that much of the project will be off-the-shelf in order to keep risk and costs down. 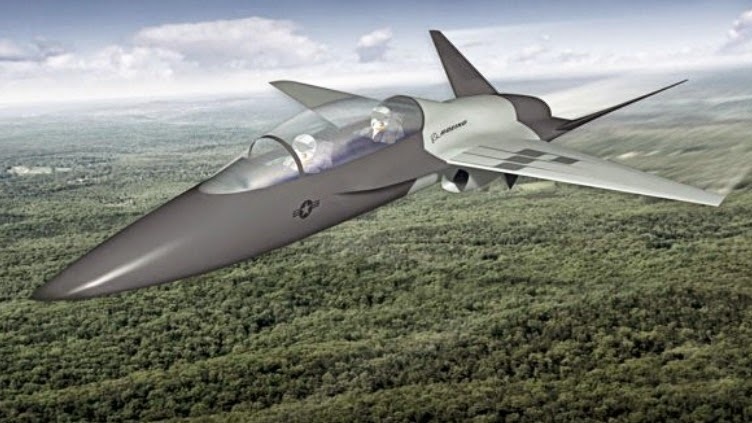 Designing an all new aircraft does give put the Saab/Boeing T-X bid in a riskier position than the other T-X contenders. All the other bidders are proposing existing aircraft in order to keep risks to a minimum. Lockheed Martin is partnering up with Korean KAI in offering the T-50 Golden Eagle, Northrop Grumman is partnering with BAE in offering the Hawk T2/128, and Alenia Aermacchi is offering the M-346 Master. Looking at the other contenders, the Lockheed Martin/KAI T-50 is the obvious front-runner. It is a fairly new design and a fine performer by the looks of it. It certainly does not hurt to have Lockheed Martin's massive marketing behind it either. The BAE Hawk is a 40-year-old design, not to mention subsonic. It is a fine trainer, but it is hard to imagine it being relevant for another 30-50 years. The M-346 Master is an underdog. Not only does it lack Lockheed or Boeing's marketing push, but the design is based on the Russian Yak-130. Needless to say, this could render the design unpalatable in today's political climate. Saab and Boeing would likely be able to get away with going a similar route as the competition. 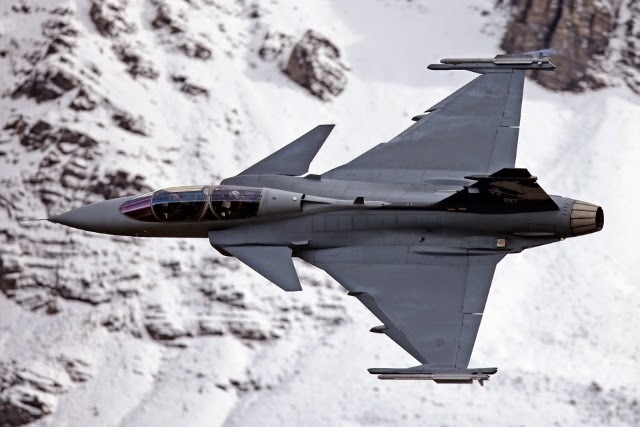 The Gripen is little more "high end" than the others, but a JAS 39D with a cruder radar, no weapon systems, and perhaps a more generic GE F404 engine replacing the Volvo RM12 would bring costs down. Boeing's mighty manufacturing prowess combined with economies of scale would do the rest. So why are Boeing and Saab taking the risk of an all new design? Perhaps the risk is not as bad as it seems. There is already some trepidation about Lockheed Martin being the only fighter manufacturer in the USA. Not only does it raise concerns financially, but strategically as well. Yet when Boeing ceases production of the F/A-18E/F Super Hornet and F-15 Eagle within a few years, this will be the case. The idea of buying hundreds of foreign designed aircraft as fighter-trainers only emphasizes this. Producing an "all new" aircraft of American heritage actually gives Boeing a considerable political advantage. Another factor is the possible disadvantage held by the front-runner, the KAI T-50. Lockheed Martin backing may actually backfire as issues continue with the F-35. There are rumors that problems and delays with the Northrop B-2 did little favors for the YF-23 Black Widow when it lost to the Lockheed Martin YF-22. Issues with the F-35 may have another benefit for Saab and Boeings upcoming T-X contender. As costs go up and problems arise, some have questioned the possibility of an alternative. At the very least, there may need to be a lower cost option to supplement a smaller-than-expected JSF fleet. A cheaper, simpler aircraft would also likely make sense for the Air National Guard or for tasks like aggressor training. In short, Boeing and Saab may be taking this opportunity to design a trainer... That could be a lot more than a trainer. Affordability is a priority. Not just in procurement, but in operation. Risk must be kept to an absolute minimum. 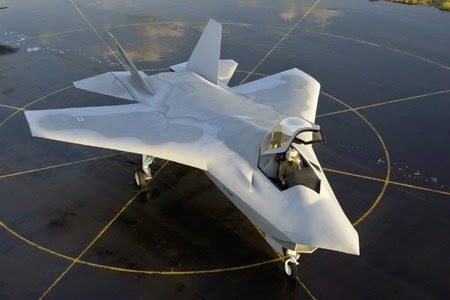 This aircraft will prepare pilots for the F-22, F-35, NGB, and "6th generation" aircraft not even conceived yet. There is a high likelihood of the T-X being used as a "companion trainer" to allow pilots to keep their flight hours up without flying expensive aircraft like the F-22. Adoption of a "aggressor" trainer seems likely. The T-X will likely see many upgrades and modifications over the years to remain relevant. While the T-X is a USAF project, the USN is involved, and further sales are likely. While 350 aircraft would be enough to replace the T-38, there is the potential demand here for 1000 or even more aircraft. Certainly well worth the risk. Since risk needs to be minimized, it is likely that both Boeing and Saab will go for what they know. Saab certainly prefers the single engined delta wing. Its last two fighter designs, the JAS-39 Gripen and the J-37 Viggen were both delta/canard layouts. Before that, the J-35 Draken was a cranked or "double delta" design. Boeing likely has mixed feeling towards the delta layout. 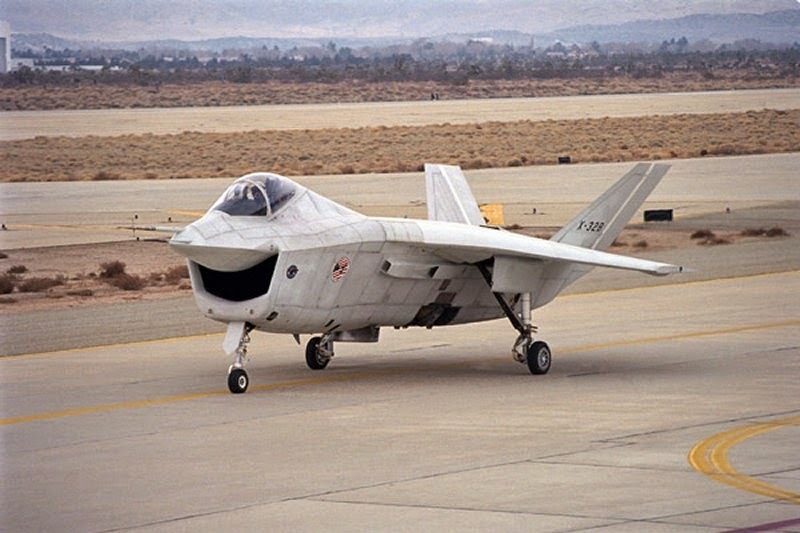 Its unsuccessful JSF contender, the X-32 started out as a delta-wing design. Built as a single piece, this large delta wing would have provided for large internal fuel capacity and reduced drag. It proved difficult to manufacturer, however, and changes in the performance required by the USN resulted in a change to a more conventional (yet still ugly) design. Before finalizing the more conventional layout, a pelikan tail was considered to reduce drag and improve stealthiness. Boeing opted against this, however. At the very top of this post, you will notice a picture of a Boeing T-X concept that was released before it announced its partnership with Saab. While the T-38 and F-18 influences are obvious, the pelikan tail seems rather conspicuous. The tail not only mimics that of the YF-23 Black Widow, but McDonnell Douglas/BAE/Northrop Grumman's JSF proposal. While the T-X has no need to be a true stealth aircraft, it likely would not hurt for it to be a "stealthier" aircraft. Not only would a pelikan tail allow for this, but the decreased drag would result in lower fuel consumption as well. A pelikan tail does have disadvantages. Since it uses two larger control surfaces instead of four smaller ones, it requires beefier hydraulics to move them. In the X-32's case, that would have added up to 900 pounds to an aircraft already pushing its weight limits thanks to a STOVL requirement. This extra weight would be less consequential on a CTOL-only trainer, however. Perhaps the "all-new" design already exists. 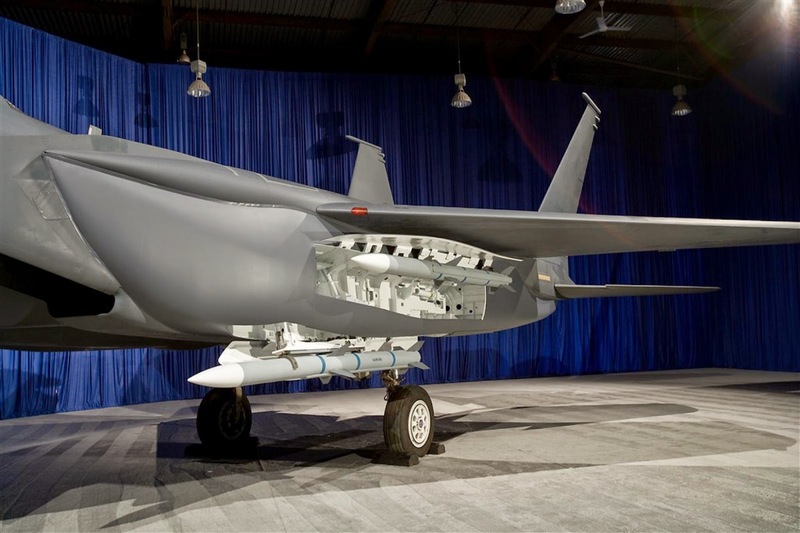 Saab has shown its own Flygsystem (Flight System) 2020 that envisions an indigenous stealth aircraft for the Swedish Air Force. 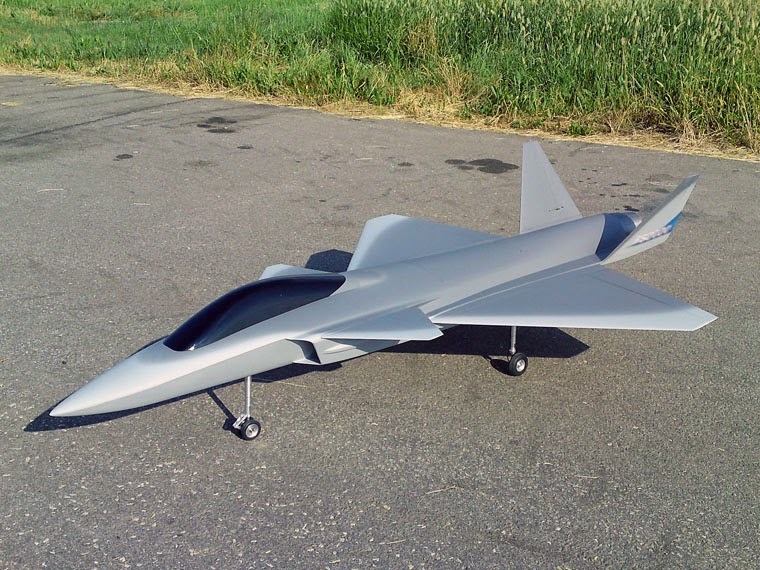 This FS2020 concept looks very much like a "stealth" Gripen with a pelican tail. Looking at the FS2020, the McDonnell Douglas JSF, and Boeing's T-X concept art reveals a clear direction. The Boeing/Saab T-X will likely be a single-engined delta-winged aircraft with a pelikan tail. Perhaps Saab's influence will lead to it incorporating canards, possibly to mitigate the extra size and weight required for the pelikan tail. The FS2020 concept, or something close to it, could very well be the chosen design. It has already undergone some wind-tunnel and sub-scale testing. The Saab/Boeing T-X will almost undoubtedly be a single-engine design. A single engine reduces maintenance and fuel costs. There would seem to be little benefit in going with a twin-engine design. The choice of engine can be easily narrowed down. Both Saab and Boeing currently use derivatives of General Electric's F404 and F414 turbofans. The legacy Hornets use the F404 while the Gripen thus far uses the Volvo RM12 which is heavily based on the same. Both manufacturers use the F414 on their newer Super Hornet and Gripen NG designs. Given that the F414 is a newer design that may even be offered on the KAI T-50, which currently uses F404s, it seems likely that the GE F414 will be the default engine choice on the Saab/Boeing T-X. Advanced Super Hornet cockpit mock-up. It is quickly becoming apparent that "all-glass" cockpits are here to stay. 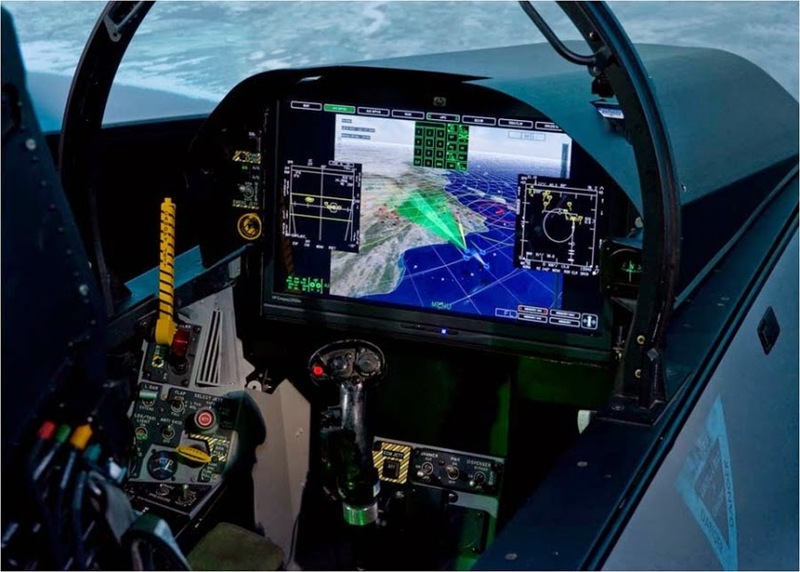 First seen in the F-35, large touch screens are now being promoted for updated versions of the Gripen, Super Hornet, and Silent Eagle. This is not just a trend, it is the future. These reconfigurable touch screens not only prioritize important information, but they can quickly change depending on the mission type. Upgrades are also made easier, as a simply software patch can improve the man/machine interface. For a next generation trainer, the "all glass" cockpit offers additional advantages. Displays could have several "skins" that more closely resemble that of trainee's intended aircraft. Not only that, but flight software could also be modified to make the T-X perform like other aircraft. This could include (but not limited to) restricting afterburner use, g-limits, or controlling stick inputs. In essence, this would be giving the T-X a set of virtual "training wheels". 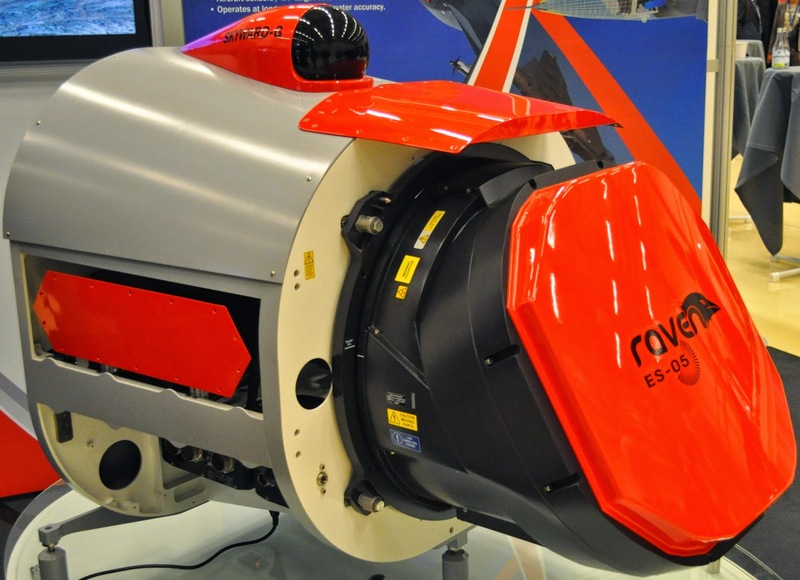 Saab Gripen E's AESA radar and IRST. 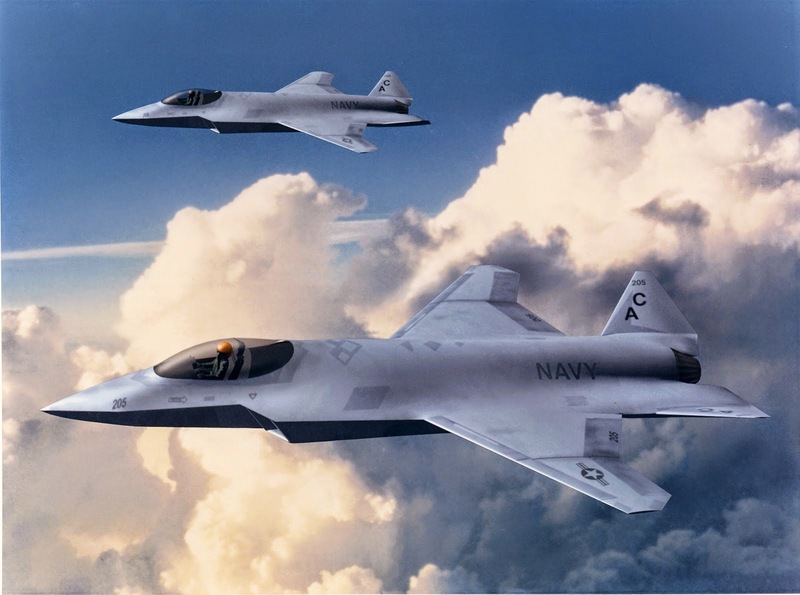 The current USAF trainer, the T-38 Talon, goes without IRST or even a radar. Its avionics package merely includes rudimentary flight sensors, navigation, and communication equipment. It would seem likely that the T-X will have little need for either as well. A data-link of some sort would likely be the most important upgrade, as this would help prepare pilots for the advanced data links found in the F-22 and F-35. The "base model" T-X has little need for a radar or IRST, but it is likely that space will be available for such. This gives Boeing and Saab more leeway in adopting the T-X into a combat ready fighter. At the very least, it makes the T-X a more tempting candidate for use as an "Aggressor" trainer. USAF aggressor trainers are already being outfitted with IRST pods to better mimic potential adversaries. More advanced sensors, like the F-35's DAS and EOTS systems, seem unlikely. Not only do they add additional cost and complexity, but their value on a training system would be dubious. Like the radar and IRST, this may be another item that will not be standard issue, but space is available for future upgrades. As a trainer, even as an aggressor, the T-X will have little need for weapon storage. At most, a handful of pylons would be needed for mounting items like targeting pods and the like. Internal weapon storage would be completely unnecessary and would only serve to increase development risk with no real payoff. But... What if I told you there was a way for Boeing and Saab to add internal weapon storage? Not only that, but this method would be nearly risk free, as it has already been tested. Boeing has been hard at work lately finding ways of making its legacy fighters stealthier. It has self-funded development work on both the F-15E and the Super Hornet, finding ways to mount weapons and extra fuel without the RCS penalty. Boeing has modified the F-15E Strike Eagle's CFTs (formerly known as FAST packs) into conformal weapon bays (CWBs) on the F-15SE Silent Eagle. Similar work has been done on the F/A-18E/F Super Hornet. Not only does the "Advanced Super Hornet" mount two shoulder mounted CFTs, but it incorporates an "enclosed weapons pod" or EWP. Like the F-15SE's CWBs, the EWP allows for stealthier weapon carriage without the need for a permanent cavity in the aircraft's structure. This not only simplifies the design, but it saves weight, as the aircraft's structure does not have to be reinforced around the weapons bay. As any mechanical engineer will tell you "holes can be heavy". Boeing has already tested the F-15SE's CWBs on a Strike Eagle test aircraft. The concept works. Possibly the biggest advantage to a CWB or EWP is expandability. A variety of different sized CWBs or EWPs can be made available, depending on the mission. Larger pods could be used to house "bunker busters" or a large amount of smaller bombs, while a smaller pods could be used for air-to-air missiles. The real opportunity here for the Boeing/Saab T-X is for a design that is "custom built" to mount some sort of CWB or EWP. 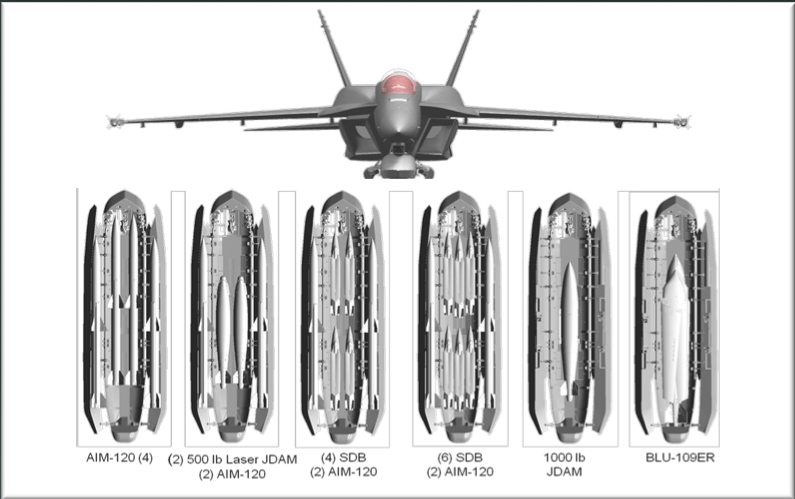 Instead of being mounted these on a pylon or as an afterthought on the side of the aircraft, the Boeing/Saab T-X could have provisions for special "conformal weapons pods". The most likely mounting points would be on either side of the fuselage, like the F-15SE, and possibly one flush with the bottom centerline of the fuselage, the the Super Hornet above (but without the pylon). These conformal weapon pods could turn the unarmed T-X trainer into a full-fledged fighter. Not only could they carry missiles and bombs, but they could carry other important items like a targeting pod or a cannon. As time goes on and technology changes, new conformal weapon pods could be developed to allow new weapons without the need to modify the core aircraft. This modular approach would have benefits for non-warfighting T-Xs as well. Those conformal pods could be used to house camera equipment. One of the T-38's most familiar roles was that of a chase plane. The T-38 was not strictly a USAF aircraft, NASA was a user as well. No doubt those conformal pods would be of use for them. Boeing and Saab decided to develop an all-new aircraft for a reason. It is difficult to imagine that they will simply aim for a dedicated trainer without any thought to a war fighting version. All of the other T-X contenders have armed versions available, why should Saab and Boeing be left out? Saab and Boeing's biggest ace in the hole is the F-35's increasing costs and delays. While the JSF is certainly "too big to fail", it certainly is not "too big" to decrease the scope of the program. Cuts to the JSF would free up a great deal of cash for other projects. The Saab/Boeing T-X could be a sort of "back door" into providing a supplement, and perhaps an alternative to the F-35. By producing a modular, upgradable design that does not have to constrain itself to the JSF's "do everything" mandate, Saab and Boeing might just deliver an aircraft that makes far more financial sense to those having second thoughts about the F-35. Here, take this. 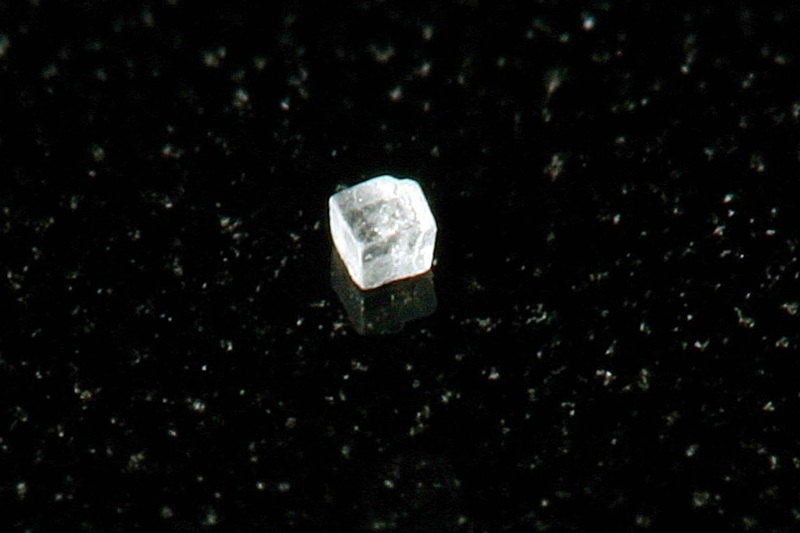 It is a single grain of salt. Please keep in mind that this is entirely conjecture on my part. Saab and Boeing may have something else up their sleeve entirely, and I have no inside information from which to base any of this on. Saab and Boeing have not revealed any details yet. Their final design may incorporate some, none, or all these musings. Who knows, there may even be more surprises when the final design is introduced.